So you’ve just had a surgery and now wondering how long it’s going to take for you to be able to partake in everyday activities devoid of much hassle and pain. The journey to full recovery is indeed long, tiring and the one which requires your persistent efforts and willpower to get better with each day. To assist you in the healing process, there is a plethora of post-surgical rehabilitation programs that can pave the way for you to restore your motion, activity and strength at a pace you feel comfortable with. This might include the use of a specialized equipment or engage in some easy-to-do exercises targeted at a particular joint or other body areas. Such sessions are often individualized and work around the idea of achieving certain short-term goals first, with regular alterations in the recovery plan after careful consideration of visible improvements. Orthopedic: Postural problems, pain, reduced strength & movement, swelling, coordination and balance issues. Neurological: Reduced mobility, weakness, difficulty in breathing, loss of sensation and muscle shortening. Thoracic/Cardiac: Postural problems, pain, reduced exercises level, reducing mobility and breathing difficulties. Abdominal: Continence problems, pain, reduced mobility and breathing problems. It’s critically important to move after the surgery (of course only after the surgeon’s approval) so that blood can circulate through the specific spot of injury. Our circulatory system delivers the much-needed fuel throughout the body, and thus it can help lessen the swelling by eliminating the fluid build-up, particularly in the area that went through the nasty trauma. When there is a bloodstream continuously flowing to that area, you’ll surely heal faster. It’s not easy to deal with restricted physical mobility post surgery whilst trying not to let that impact your psychological health simultaneously. You don’t have to juggle through the healing process alone, as there’ll be certified therapists working alongside you to aid you to minimize the pain and improve function. As they have probably assisted many people with similar surgeries in recuperating prior to you, they can better guide you to make the healing a rather fulfilling experience for you. Many people brush off the idea of participating in post-surgical rehab with a false belief that simply staying in bed is what will lead them to recovery. The scientific fact of the matter is that your body is not going to do “any trick of its own” to recover. You might feel a little weary at the outset of the rehab program, but it’ll soon go away when you start noticing the amazing benefits in terms of improved physical function as the days go by. Experienced therapists have planned out those exercises sessions after a careful study of your case and with certain limitations in mind. So you have a better chance to regain the full mobility or as much as possible under the guidance of professional, certified physiotherapists. They will help you reach your rehabilitation-related goals and get back to the fitness levels you were previously, regardless of how hard you might think they are. To start with, your physiotherapist will conduct a full assessment of your present condition and work together with you to create both long and short-term goals to elevate your recovery potential. He/she may also indicate the approximate time it will take to accomplish specific goals. The criterion is however not time-dependent. Your progress will be continually monitored, with regular changes in the plan as per the physician’s recommendations and your response. At the end of the program, you can expect to experience a significant difference in your coordination and balance, exercise tolerance levels, muscle strength, and degree of independence. Ready to recover from your post-surgery consequences easier and faster? Give all your worries a rest, and join our post-surgical rehabilitation program in Richmond Hill. 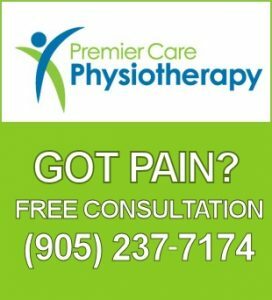 To learn how you can join this program or if you have other related queries, feel free to contact Premier Care Physiotherapy!